There is nothing like a romantic spa break to make time spent with your loved one feel extra special. No matter if you are celebrating a special anniversary or just want a romantic weekend away with that special someone. A luxury spa break is a perfect way to rekindle your romance while reinvigorating your body. Relax in luxury with our exclusive travel deals. Save up to 70% on a wide range of unique and indulgent spa holidays in Italy, Greece, Portugal, Indonesia or in the UK. From cosmopolitan activities to relaxing spa breaks for couples, we have a holiday deal to suit everyone. Join our luxury travel club now to make sure you don’t miss out on the latest offers. Enjoy some pampered days on a spa break for couples. From country hotels to seaside exclusivity, we have luxury spa breaks for couples to suit all tastes. 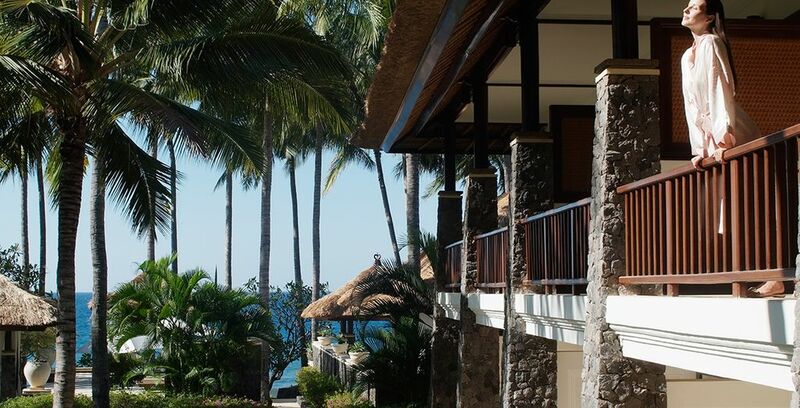 Enjoy spending time together as you indulge yourselves in warm water and opulent surroundings. Allow experienced staff to soothe away day to day aches and pains with massages and other treatments. Relax into each other’s company and appreciate good food, excellent wine and that ultimate feeling of indulgence. Take time off to enjoy each other’s company on a luxury couples spa break. The options for a spa break for couples are endless. Whether you want an overnight spa break, a mid-week break or a luxury weekend escape, we have plenty of options for you to choose from. Whether you opt for a city spa, a countryside retreat or a refreshing seaside break, you won’t be disappointed with our members-only range of choice. All you need to do is join our club, select your spa break and then check in leaving all of your cares behind you. Voyage Privé provide a range of options for couples seeking some overnight luxury and romantic spa breaks. For those seeking a little midweek relaxation, we have a range of spa holidays options including luxury seaside hotels and city centre spas. For couples in need of more recuperation, what better than being whisked away to a country retreat where you’ll be spoiled with a range of indulgent treatments. And with new hotels and exciting destinations constantly added to our collection, you will never be short of ideas to create the ultimate romantic experience for you and your partner. You may prefer to complement your reinvigorating treatments with a little retail therapy or combine your spa break with an exotic safari. With Voyage Privé, the choice is yours, because we tailor your holiday to suit your requirements. We can also find weekend spa breaks for couples and last minute offers with Voyage Prive. Our travel experts have handpicked some of the finest spa hotels around the world for our members to enjoy. Each hotel has been selected for its incredible range of treatments, entertainment and facilities. No two spas are the same, with some set in the beautiful open countryside while others located close to bustling towns and cities. The five-star Hotel Kinsterna in Greece for example, is set amongst idyllic vineyards and olive groves along the Aegean coast. This beautiful hotel was once an impressive mansion dating from the Byzantine and Ottoman Eras. Now, both the house and gardens have been fully restored to create the perfect romantic hideaway for couples seeking a little relaxation. While the Luxury Serena Beach Hotel in Kenya Nairobi is set amongst lush gardens and coconut trees overlooking the Indian Ocean. This stunning spa is also conveniently located close to two of Africa's greatest wildlife parks, allowing guests to combine a luxury spa break with a once in a lifetime opportunity to experience Africa's wildlife in its natural habitat. All our featured hotels provide a range of luxury spa treatments to help soothe away the stresses and strains of everyday life. You can choose from the ultimate pampering experience where your body and mind are reinvigorated with a combination of massage and exercise or you can experience the latest facial rejuvenation treatments to help make you look. From a sports massage to soothe aching muscles to a gently rejuvenating facial, our spa breaks for couples have beauty and health treatments to ease away all of your stresses and leave you feeling pampered and relaxed. Treat yourself to a pedicure or a stimulating head massage and experience new beauty treatments with our exclusive members-only offers. – By taking a holistic approach to your health and fitness, these courses are designed to improve your body and mind. Treatment starts with an evaluation and appraisal of your current condition which will help the therapist tailor a treatment program to improve your body and emotional wellbeing. Treatments include sports massage, tailored exercise programs, aromatherapy and vibrotherapy. A romantic weekend spa break would not be complete without pampering yourself with a range of beauty treatments. From hair and makeup to facials and body tanning. All beauty treatments listed at our resorts are carried out by trained professional therapists who will work with your body and skin type to create the perfect new look. So just sit back and relax while a team of experts gets to work creating the new you. Reinvigorate your body by indulging yourself in a state of the art body rejuvenation package tailored to soothe away all those aches and pains. Treatments include full body wraps which help to rehydrate your skin, helping you look and feel younger. Flotation treatments which help lower stress levels and improve your mental strength and contour shaping treatment which helps to boost circulation, reduce fluid retention and tighten skin texture, helping you to look and feel younger. A weekend at the spa wouldn’t be complete without an invigorating massage. Choose from a range of massage and aromatherapy treatments including a full body deep tissue massage to help stimulate circulation. A sports massage to help relieve muscle pain or tightness. Or an uplifting soothing massage combined with aromatherapy session, which helps to reduce stress and restore your youthful radiance. If you’ve been living a little too much of the high-life, a little detox therapy can help get your body and mind back on track. Detox treatments can help cleanse the body from toxins while improving circulation. Individual treatments include seaweed baths which help to draw out toxins from the skin and replace them with the vital minerals your skin needs to thrive. And salt scrubs which can also help to replace these vital minerals, giving your skin a warm and healthy glow. Exposure to the elements can leave your hands feeling dehydrated, while tight-fitting stiletto heels can leave you with cracked heels and calluses. So when your hands and feet are in need of a bit of pampering, why not indulge in a little hand and foot therapy. A manicure and pedicure can go a long way to soothing away those aches and pains while ensuring your hands and feet look and feel as good as the rest of you. 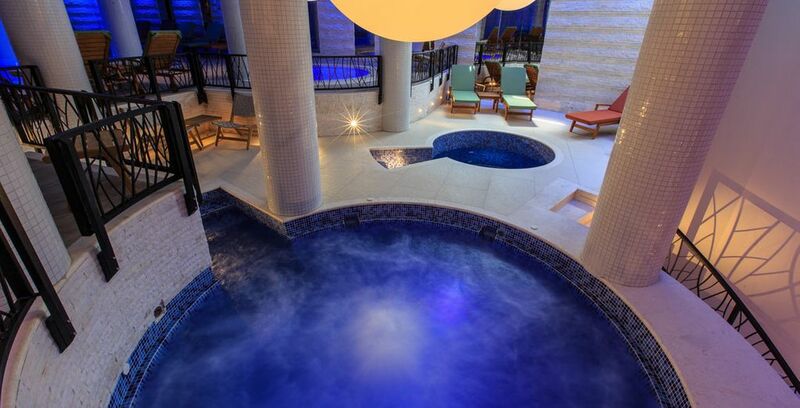 While taking a luxury spa break is always an indulgence, it doesn’t have to break the bank. We offer breaks to suit all budgets, from short getaways to week-long escapes. 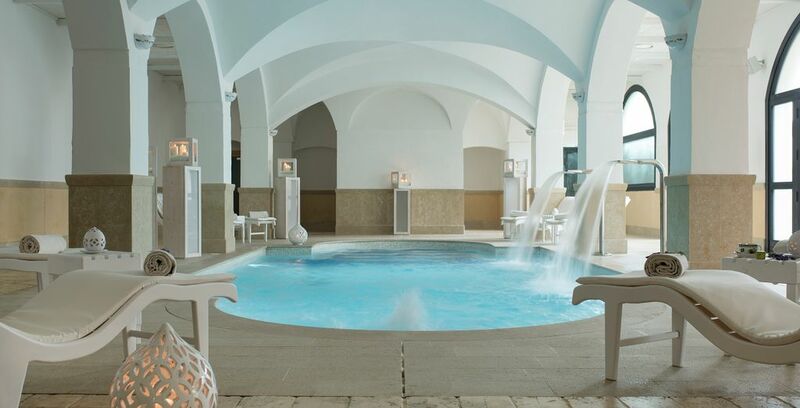 But no matter what type of spa break you choose, you can guarantee the same high-quality luxury experience Voyage Privé is famous for, even for a cheap spa getaways uk. All our spa hotels feature high-quality accommodation with luxury furnishing and bed linen for all guests. A range of food options is also available including fine dining restaurants, French-style brasseries and uber cool cafes. Of course being spas they also have a range of healthy eating options available. By joining Voyage Privé you get access to our exclusive prices and discounts of up to 70% on all our hotel deals and short breaks. Each hotel and resort listed by Voyage Privé has been carefully vetted by our dedicated team of researchers to ensure it meets the standards Voyage Privé customers expect. And our service does not stop at providing you with exceptional deals on a range of luxury hotels and spa breaks. We can also help plan your holiday by arranging exclusive excursions and airport transfers to ensure a stress-free holiday for you and your partner. Sign-up with Voyage Privé now or contact our legendary customer service team on 0844 826 0896 for help with booking or advice about which of our exclusive destinations to choose. Book now to ensure your couples spa break. Our dedicated team of researchers consider each location carefully to make sure that we can offer you the very best in spa breaks and other travel deals. Our 70% savings offer is open to members only and we have a limited number of places currently available. Plan your travel year ahead with our exclusive membership offers and don’t forget to build in a luxury couple spa experience. You won’t regret it, you will enjoy each other’s company and emerge from your spa feeling refreshed and ready to take on the world once more. Discover more romantic plans with our secret escapes holidays.